Strong design carries a sense of empathy. Employing empathy can be an important strategy to better engage viewers; it helps create stronger work that can incite emotional understanding in the viewing audience. If a design can make a connection with the viewer through emotion and open an inner-dialogue in his or her mind (even long after they walk away), then it becomes arresting and powerful. If this is true, part of the question regarding implementation rests in deciding what type of emotional connection to try to create, or, what feelings the subject matter of the brand and its content are trying to evoke. In today’s more socially-conscious economy, I think the first general assumption is to convey empathy through a serious storytelling campaign that this brand “does good,” or “changes the world,” or “helps [this country or people group]” (the CSR-mindset). And, in cases where this is not a marketing fabrication but an actual practice, that can be a powerful way to invite people to participate in your brand story – that you are on a mission that goes beyond the bottom line, and you want to invite brand ambassadors along for the journey. But that’s not the only type of empathetic connection that can be made. In fact, while it is admirable for those organizations in which that type of message makes sense, it’s not the type of messaging that the vast majority of businesses actually need to communicate. If you’re in an industry or business that isn’t looking for a deep, serious-toned, “We Are The World” empathetic connection, there are a lot of other types of emotions to incite through powerful design. The key is to understand your brand’s personality – the type of voice that you have as a company – and create messaging and design that is in line with that voice. It’s going beyond relaying data, and it’s about establishing a tone. Maybe that means playfulness and humor. Some of my favorite designs aim not to “do,” but simply to “delight” – pleasure becomes their function, and they establish an emotional connection by making me feel like this brand is somehow friendly. It’s a decision to shift from giving facts to providing information wrapped in something delightful by a conscious choice to spend a little extra time thinking creatively about the message. There’s a sense of whimsy that makes the message human. It’s the way Birch Coffee in New York decided to not just place a tip jar on the counter, but engage the customers to tip by disguising the jars as a brain teaser contest. 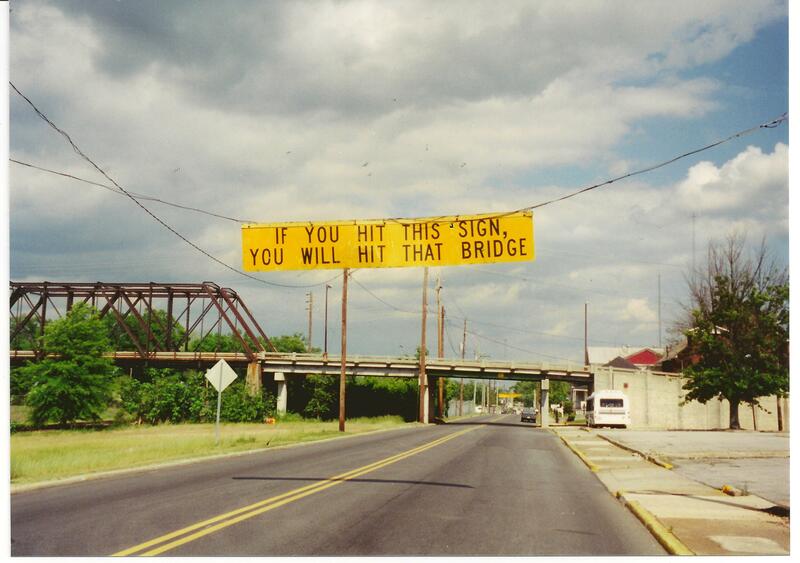 Or the way that in Griffin, Georgia, a small-town sign maker didn’t just tell trucks what the height limit for the bridge was: he communicated it in a way that makes you smile, helps you understand, and then stays with you as a memory. Favorite restaurants don’t just serve food that has rich taste – they also go the extra mile to "plate” the dishes before they leave the kitchen. The function is to eat and be filled. But the delight is in the taste, the smell, the presentation, the atmosphere – an entire sensory experience. I can go anywhere to eat and not be hungry; I choose to go to certain restaurants for date nights or special occasions because I want to tie a lasting memory to a place that seeks to delight rather than merely service a need. So maybe you’re a brand that falls in that earlier category of being able to employ “hopeful” messaging – that you are embarking on a new way to “do good” in the world, and that the empathetic message relies on inviting viewers to “do good” along with you. But there is so much more to empathetic design than “hope.” Sometimes, a brand can just seek to “delight” – to dash just enough creativity, playfulness, and fun over a presentation so that it’s no longer only a message for the sake of getting across information. Instead, it becomes a smile; something to pull out your iPhone for and take a picture of because you think someone else would enjoy it; a line you tell your friends when you meet them for dinner; it is shareable, because the delightfulness makes it something worth sharing.